In Tinkerbell and the Dream Fairies, the adventurous Tinkerbell happens upon the fairies from A Midsummer Night’s Dream. Together, the cheeky Mustardseed, fluttery Moth, daring Cobweb and sweet Peaseblossom all go on a magical quest with Tinkerbell, learning about each other and the different worlds they come from. Audience members are invited to come dressed up for fun either as a Fairy or an Elf but Jedi’s, Pirates and all super heroes are all welcome! Sing and dance away your Easter holidays while helping Tinkerbell and her Fairy Friends find their lost wings. This delightful show was developed in conjunction with early learning experts to ensure it truly engages and inspires young minds. So pack a picnic and join in the magic! 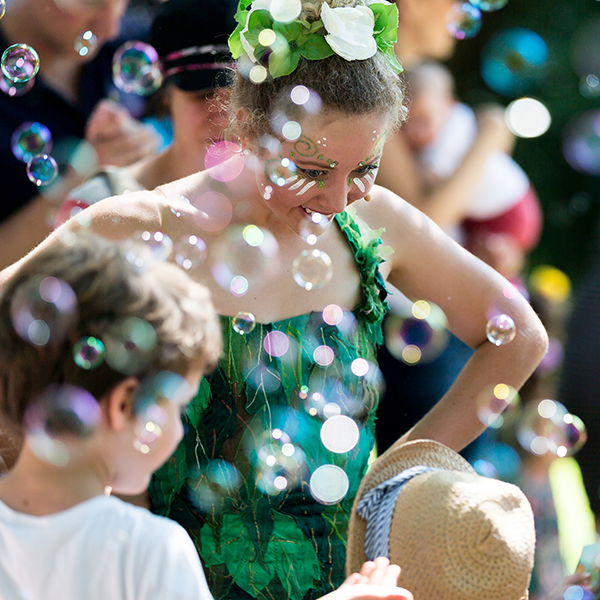 Tinkerbell and the Dream Fairies will be returning to the Royal Botanical Gardens Sydney during the Easter holidays from the 14th to 29th April. To celebrate Tinkerbell and the Dream Fairies, we will be giving away 2 family passes - one on our Instagram page and the other on our Facebook page. So keep an eye out ! For more information or to buy tickets, head to the website.